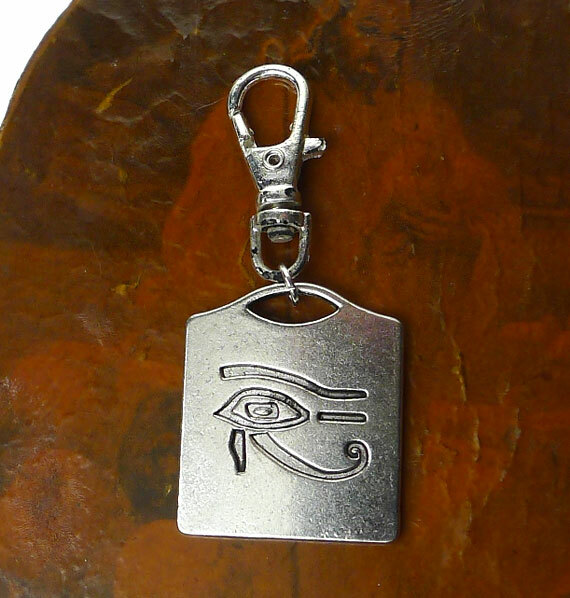 A Tibetan Silver Eye of Ra charm has been attached to a Sterling Silver Plated Lobster Claw Swivel Clasp. The clip would be great attached anywhere such as onto a : backpack, necklace chain, purse or any other place you can clip something on to. 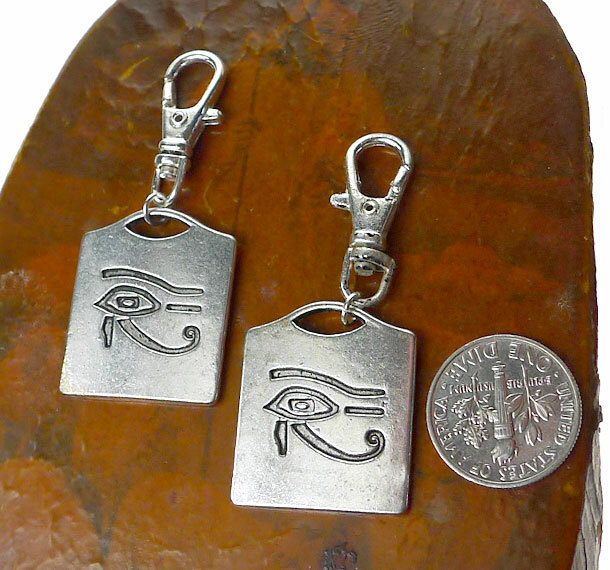 Total length is approximately 1-7/8" inches long x 3/4" inch wide. 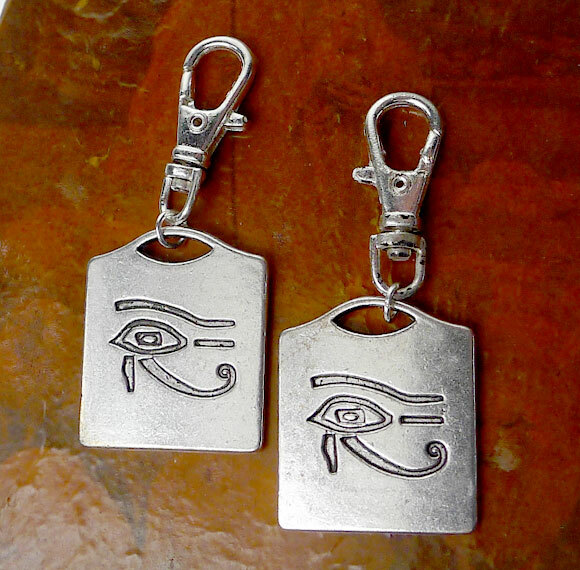 The Double Sided Eye of Horus charm is made of silver tone plated lead-free and nickel-free metal. The Swivel Clip Clasp is made of Sterling Silver Plated Brass.